Baked Peanut Tofu. Perfect on top of a salad. Or on it’s own as a starter. A protein-rich addition to stir fry. It’s one of the dishes I make each week to stow away in the fridge to add in to many recipes. Often I hear that tofu is difficult to make at home. 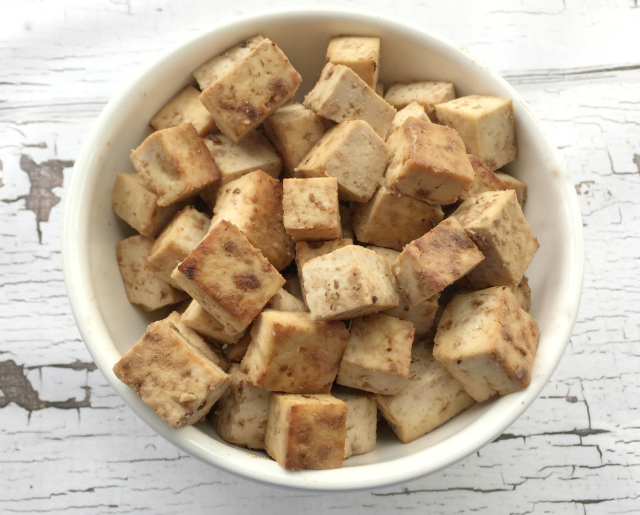 How about I share a few pointers for you on preparing tofu at home? 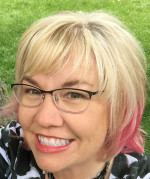 It’s not difficult and doesn’t have to be time-consuming. 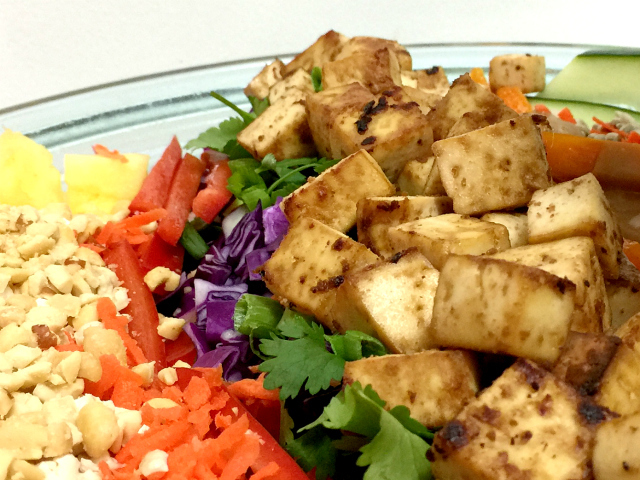 First, let’s talk about the tofu that is easiest to start with. Buy the Super Firm, Extra Firm, most firm tofu variety the store stocks. I prefer the high protein super firm tofu at Trader Joe’s or the one from Wildwood. You’ll notice both of these are packed similar to shrink wrapping; they are not in plastic tray with a lot of liquid around the tofu. This almost eliminates one step of cooking with tofu: draining. You also don’t want to try making this style of tofu with the silken tofu in little boxes. Silken tofu is best for smoothies, sauces and desserts. If you must buy tofu in the plastic tray with liquid around it, you’ll need to drain it well. You can do this by wrapping in a few layers of paper towels, placing in a colander, then placing a plate on top. I weight the plate down with canned goods. You can also buy a tofu press like this. But you can skip this step if you buy the high protein super firm tofu bricks. Second, let’s talk about flavor. Tofu is a flavor sponge. Either flavor it before cooking or be prepared to put it in a saucy dish or eat it with a dipping sauce. Tofu doesn’t have a lot of flavor on its own, which makes it perfect for adding to many dishes. You can choose what it tastes like! Third, don’t be afraid to try to cook with tofu. When I hear anyone say they don’t like tofu, I make the wild guess that they haven’t had tofu that is cooked well. You can do this. Pick a good recipe (you’ll find one below) and give it a try! In a large bowl, mix together all other ingredients, stirring to combine well. Add tofu cubes and gently toss. Cover and refrigerate for at least one hour, then toss again, returning to the refrigerator. Two hours is long enough to marinate, however you can leave the tofu overnight if necessary. I like about four hours best. 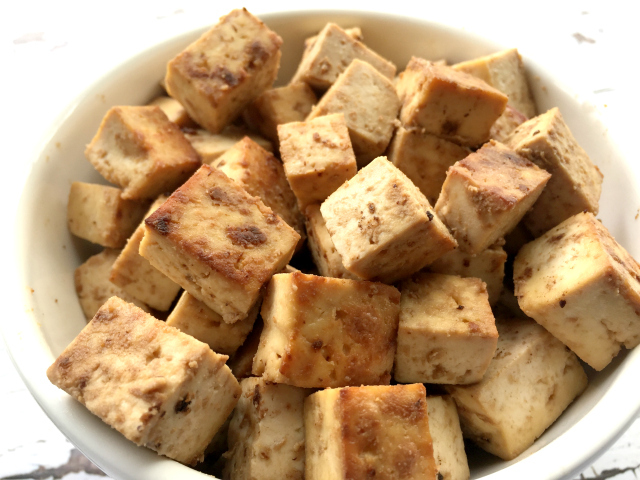 Place tofu cubes in a single layer on the baking sheet. Dispose of remaining marinade. Cook for 15 minutes, then toss a bit. Return to oven for 15 more minutes. Serve hot or cold.